When our friends came back from the holiday they spent on Gran Canaria, one of the Canary Islands, they told me about their culinary discovery with such passion that I had to try it, Canarian Mojos! The name derives from the Portuguese word molho (meaning sauce) and stands for an endless variety of sauces made of (fresh or dried) green or red peppers, olive oil, garlic, lemon juice, fresh herbs, like coriander or parsely and spices, like cumin, caraway seeds or sweet paprika. Most of these traditional Canarian dishes praise the local peppers which must be extremely aromatic and strong in flavour and cover the whole range from mild to very hot and spicy. 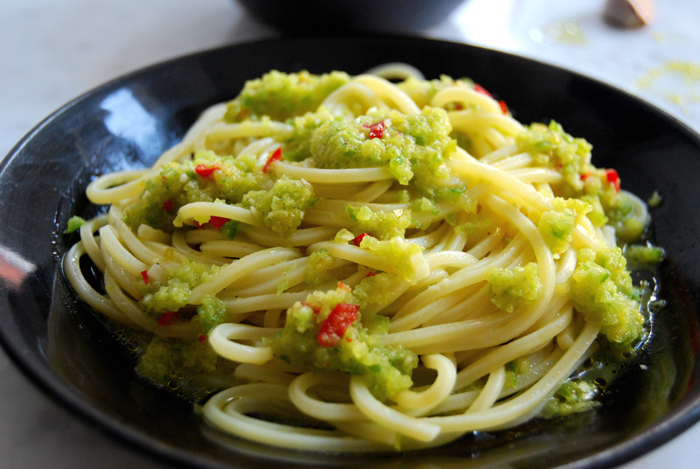 Some sauces are made just with herbs, similar to a thick pesto or with dried spices mixed with breadcrumbs. I also read about a sauce which mainly features grated hard cheese, the Almogrote which originates from the Canarian island La Gomera. There are so many delicious sounding names like the spicy, red Mojo Rojo Picón made of dried red hot peppers or Mojo de Almendras mixed with roast almonds. These sauces will be one of my winter kitchen projects as many of them can be made with dried peppers and they offer a great field to experiment with strong aromas. My friends told me that they savored these sauces with almost every dish, with fish, meat, vegetables and potatoes and they encouraged me to give them a try although I’ve never visited the Canarian Islands myself. So I don’t claim authenticity, I just felt inspired to mix my own Mojo inspired by these islands’ signature dishes. 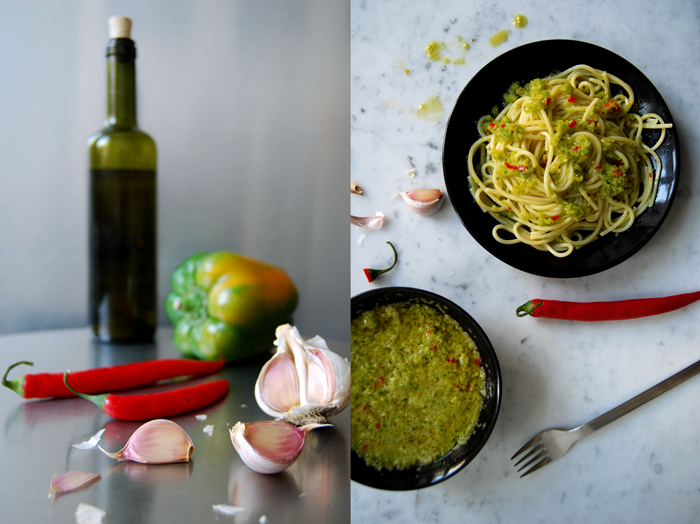 For my Mojo Verde, I mixed mild green bell pepper with garlic, fresh hot chili pepper, (lots of) olive oil, lemon juice, a pinch of cumin and salt and pepper and I was very pleased with the result when I mixed it with my pasta! Mix the ingredients in a blender, or more authentically but also more time consuming, grind them in a mortar to a thick paste. 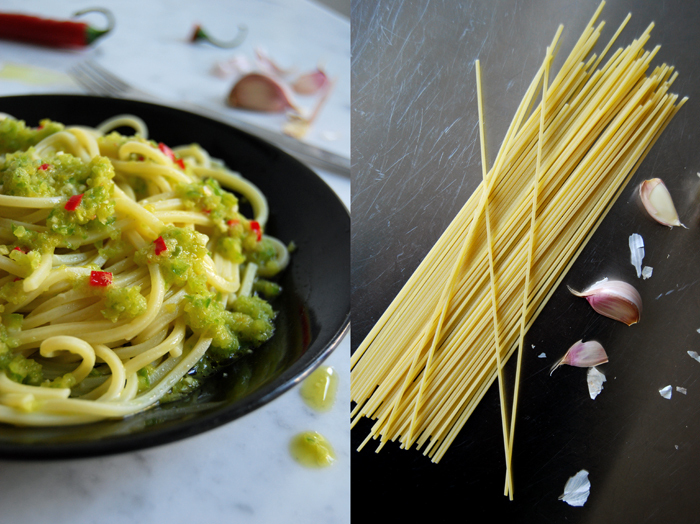 Season to taste and serve with pasta or on grilled bread or vegetables. 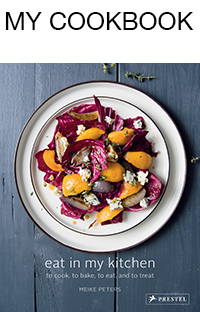 Meike, this looks and sounds like another wonderful meal for a summer eve. We ate quite a lot of mojo sauce when we were in Tenerife last year and I brought some back but never used it again! 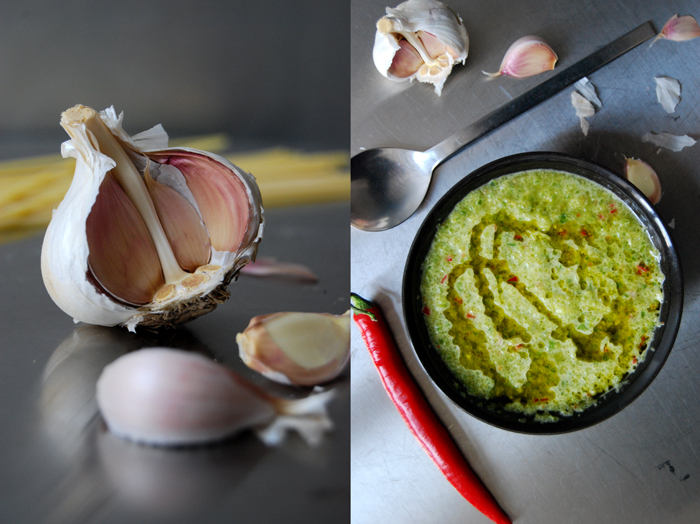 I love this idea of whizzing it into a pasta sauce – genius!